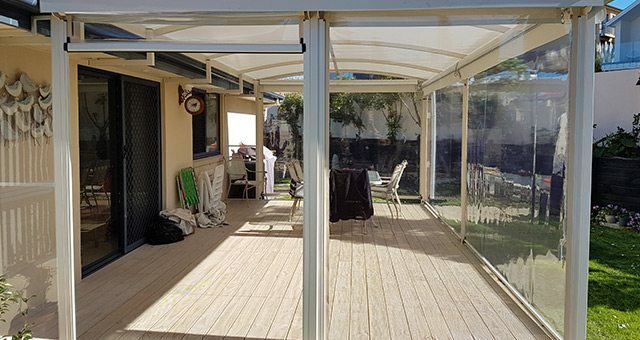 At home or at work, shutting out the sun, wind and rain has never been easier than with a screen awning from Total Cover. They’re ideal for home patios and balconies, cafés and so much more. 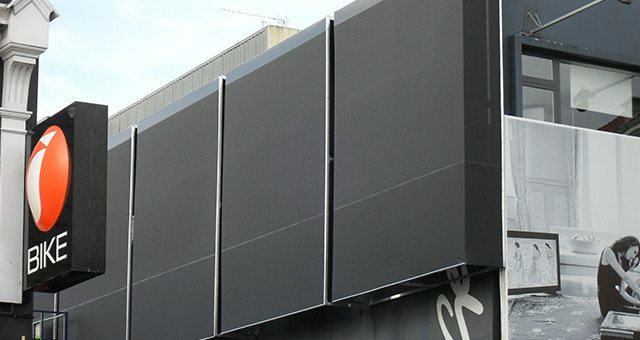 Sometimes called external blinds, drop down awnings, café curtains, or straight down awnings; Total Cover provide a full range of screens in clear PVC, shade mesh and acrylic canvas materials. 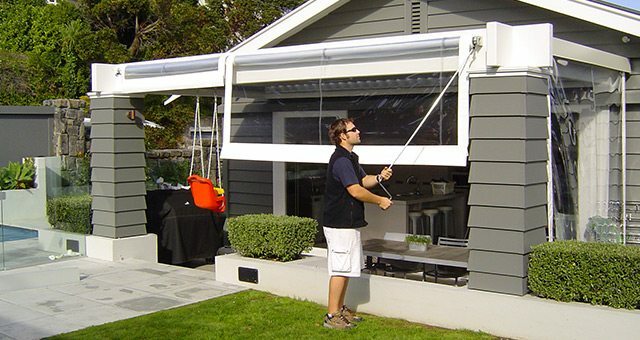 External screens, blinds and awnings are the ideal way to protect against those environmental elements that can make you uncomfortably cold in the winter or unbearably hot in the summer.